MARK STOUT, International Spy Museum. Mark Stout is the International Spy Museum’s Historian. He worked for thirteen years as an intelligence analyst, first with the State Department’s Bureau of Intelligence and Research and later with the CIA. He has also worked on the Army Staff in the Pentagon and at the Institute for Defense Analyses. In addition, Mr. Stout is a Lecturer at Johns Hopkins University’s Krieger School of Arts and Sciences where he teaches course on intelligence and strategic studies. 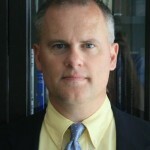 Mr. Stout is the co-author of three books and has published articles in Intelligence and National Security, Studies in Intelligence, The Journal of Strategic Studies, and Studies in Conflict and Terrorism.